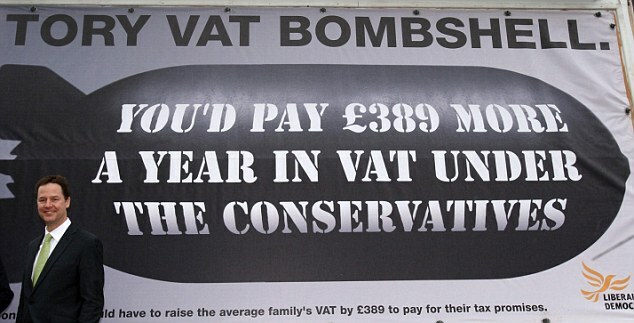 In 2011 George Osborne, Chancellor increased VAT from 17.5% to 20%. VAT very rarely gets mentioned anymore by the Govt. VAT is a regressive tax despite what George Osborne professed back in 2011. This tax hits the poorest hardest. People on low incomes do not have the savings,their money is spent on essentials. VAT increases the burden. This increase in the cost of living has a dramatic affect on people on the lowest incomes. Which may result in people accessing money via high interest loans which creates even more personal debt and hardship. There has been an huge increase in the growth of food banks. And yet the obvious connection to an increase in VAT is there. Conservative Govt’s increased VAT from 8% to 15 % and then from 15% to 17.5% in the 1990’s. Once again increased under a Conservative led Govt to 20%. Seems to be a trend under a Conservative Govt to increase an indirect tax that affects those in society that are least likely to cope with its increase. Is this fair ? Direct taxation has always been far more progressive. Yet the coalition Govt decided to cut the direct taxes for those who are wealthy in society. All in this together is a hollow phrase. The rich have become richer, the burden has been placed on people who can least afford the VAT increase.